Three rows of diodes shine in different combinations. The LEDs in the left row stand for the hours from 1 -12. The LEDs in the middle row stand for the minutes in decades 10, 20, 30, 40, 50. The LEDs in the right row stand for the minutes in unit positions 1 -9. 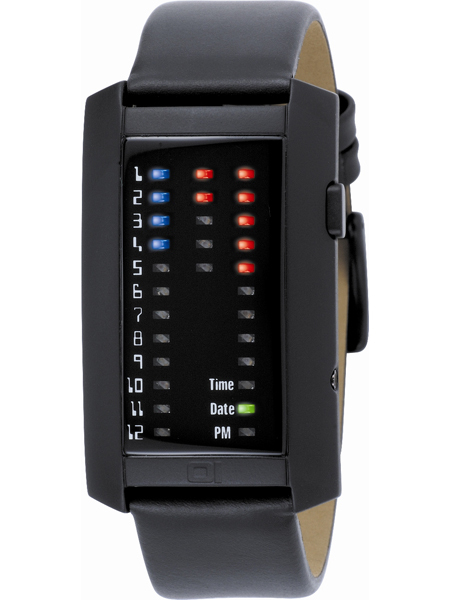 Additionally, the LED �PM� shows the morning or afternoon. Even the date can be showed at the push of a button.